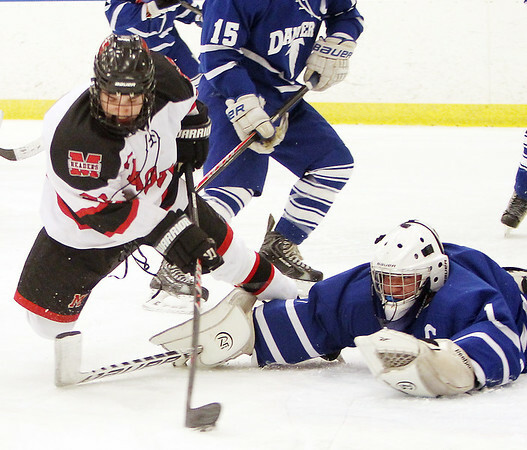 Danvers senior captain Alex Taylor, right, sprawls out to make a diving save on Marblehead sophomore winger Braden Haley, left, on a point blank shot during the third period of play at the Rockett Arena at Salem State University on Saturday afternoon. DAVID LE/Staff photo. 1/17/15.